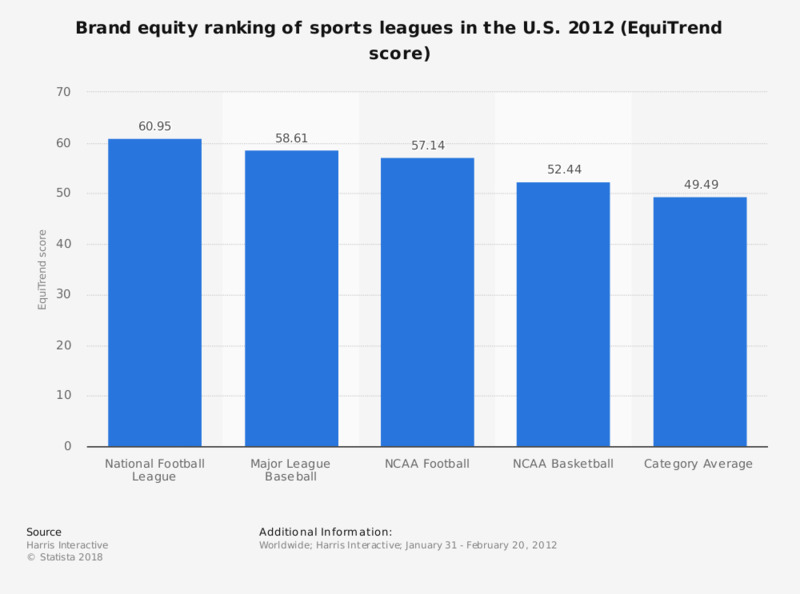 The statistic depicts the EquiTrend ranking of sports leagues in the U.S. in 2012. The NFL's EquiTrend score is 60.95 in 2012. Formula One Racing, Major League Soccer, the National Basketball Association, the National Hockey League, the PGA Tour and NASCAR (not included in this statistic) ranked below the category average.